December 24th, 2013 I got the news I needed an urgent mammogram and ultrasound, and then breast biopsy, On April 17th, 2014, four days after my 53rd birthday, I received a diagnosis of breast cancer. This is my personal journal. Having now completed surgeries, biopsies, chemotherapy and radiation, I now struggle to piece together a brand new life. I will turn 54 in April 2015, so I have been at this for over one year now. Thank you for being here and for reading about my journey, as I work my way towards wholeness and a full CURE. A Fundraising Thank YOU ! I am HEALTHY and WELL and from the bottom of my heart, I thank you ALL for your fundraising efforts from both online and offline. You all helped save my life. 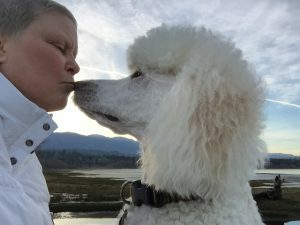 PreviousPrevious post:breast cancer be gone! !NextNext post:Have a Blog. Write Daily.